Insurance Telematics is a clever innovation in the insurance industry that has been gaining traction all over the world in recent years and has started to influence the market here in South East Asia. CSE is at the forefront of Insurance Telematics in SE Asia. One of our main goals is to link motorbike, passenger & commercial vehicle distributors/operators and telecommunications providers to insurance companies, in turn offering them the opportunity to provide greater value to their customers through Usage Based Insurance (UBI). This not only helps to increase market share but also builds trust and provides engaging experiences with mobile apps, the result being higher customer loyalty and safer drivers. To an insurance company, the knowledge gained from having telematics devices on their customer vehicles is invaluable. It allows for a vastly improved and accurate way to analyse risk that relies on real driving data and not estimated or customer-sourced information. The technology can also be used to report crashes and improve the claims management process all from the advanced analytics, behavioural, contextual, and other telematics data that CSE is able to provide. Lower risk = less costs to insurance co.
Low risk driver = Insurance benefits & savings. As a result, Motor Insurance premium may be discounted or you may earn a rebate. CSE has the in-house capability to provide full suite of services required to rollout a complete UBI solution from product development (hardware & software) to Customer support. Find out how CSE’s Insurance Telematics Solutions can help you grow your business and increase profitability. ScienceJet is our Telematics Platform, a specialised “Big Data” cruncher for the insurance industry if you like. We analyse our database of over millions of miles of real driving data, and pair it with data of over tens of thousands crashes to come up with an algorithm to provide the insurance industry with the best risk analysis available. 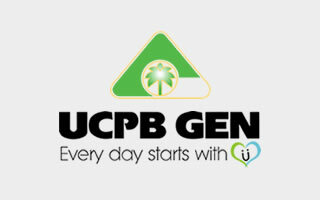 By signing up as our partner you will have access to this data and much more through our unique UBI Portal. CSE has an extensive range of telematics devices with different applications which essentially vary in performance almost in direct proportion to their cost of implementation. 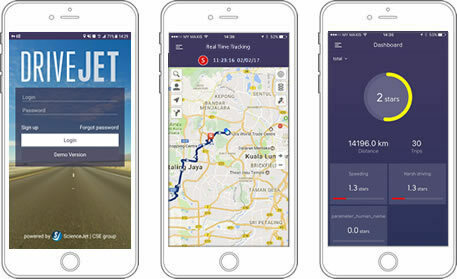 Mobile app can be used as a standalone or linked to a Telematics device. An extremely important component of CSE’s all-in-one UBI solution is the mobile app. This is our Human to Machine Interface that drives engagement thereby enhancing the retention of your customers. We can provide an “as-is” mobile called DriveJet or we also have the flexibility to customise a mobile app set to your own specification. Through our Science Jet division, CSE provides product & software consulting services to help insurance companies develop a unique value proposition for their business. By combining Big Data and the latest telematics software technology we can help give you a strategic advantage over your competitors by designing your very own UBI products. We understand that the insurance industry is very dynamic. We provide continuous improvement & support services to modify your products according to market requirements. Automatic crash alert and assistance with emergency response services ( ambulance, fire and police) to exact vehicle location. Enhanced roadside assistance or emergency request to exact vehicle location. We have our own network of installation and support services covering peninsular, east malaysia and Singapore. In other countries where we are present, installation and support services are carried out by CSE Local Service Providers (LSPs). We can offer the full range of customer service including product information and Telematics device installation scheduling on behalf of our insurance partners. Our Customer service operates from 9am to 7pm Monday to saturday.